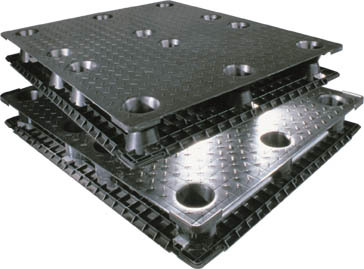 Save significantly on freight charges by ordering unassembled Snap-Together Double-Deck Plastic Pallets. Runners or base must be snapped on when the pallet arrives, depending on the style you choose. 100% recyclable injection-molded polyethylene and polypropylene.